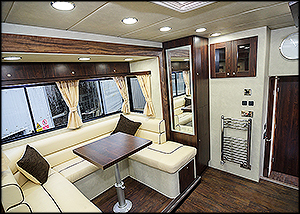 Empire Coachbuilders LTD has been manufacturing horseboxes for over 50 years. They are one of the leading companies within the industry with a dedication to customer service and support. They provide horsebox repairs, conversions as well as customized builds. Their state-of-the-art workshops located in the West Midlands allow them to build anything from a basic 2-horsebox to a bespoke 8 berth horsebox with luxury living. They also offer repairs and refurbishments to existing equipment. The interior of one of the models. Empire Coachbuilders has several positive reviews that you can find on their facebook page. They also have received thousands of likes from former customers. Mel Worgan writes. “Would like to thanks James and his team for all their help and customer service. Very happy with my lorry.” We have found no negative reviews associated with the company through a thorough online search. There have been no negative reviews left online or through RipOff Report. The business is in good standing. A preview of the website. 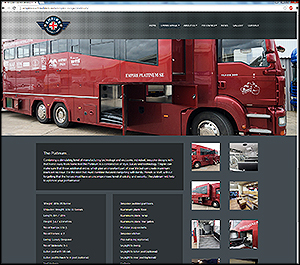 The Empire Coachbuilder’s website is a very modern web design with a flash based user interface. The site navigation is very friendly and allows the visitor to effortlessly click on the section of interest. Their about us page clearly states their services provided as well as brief company overview. As you can see from the image on the right, they provide lots of detailed images about the vehicles including the specifications. The contact pages provide the names of sales director and workshop director which make it very easy for you to get an update on the construction of your horsebox. 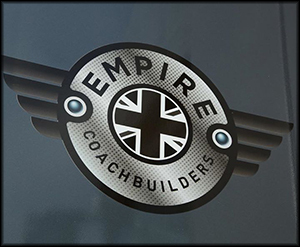 After a detailed review of Empire Coachbuilders we believe this is a highly reputable company that provides a quality service to it’s customers. Their ability to provide a full service from construction to delivery has made them one of the leading horsebox manufactures in the UK. Their commitment to customer service and positive reviews online prove that this company is worthy of your business. We highly recommend them. 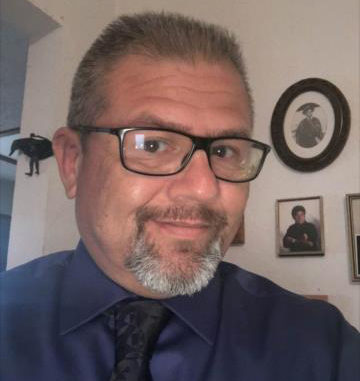 Liam Ross is a business consultant with a focus on information technology and digital advertising. He been a successful writer online for many years having contributed to Business.com, Huffington Post and Yahoo News. He is currently working on a book about the rise of social media and how it has altered our buying habits.